18-Million is a standout on paper and on the hoof! This son of the popular $B leader, Jindra Acclaim, also brings the power of one of the best producing females ever at Whitestone. 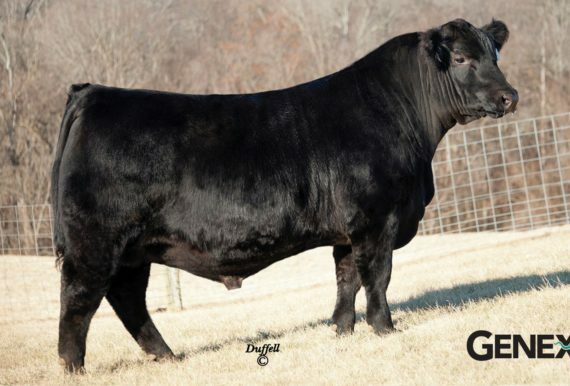 Mark Duffell describes 18-Million as “wide based, long-sided with extra depth in a sound confirmation and great feet” and “one of history’s great herd sire prospects!” His dam is one of the top producing females ever raised at Whitestone. He had an actual wearing ratio of 125, a yearling ratio of 128 and a UREA of 115. His data is phenomenal with 15 EPD Traits in the 20% or better. Here’s an opportunity to get in on the ground floor of some tremendous genetics!